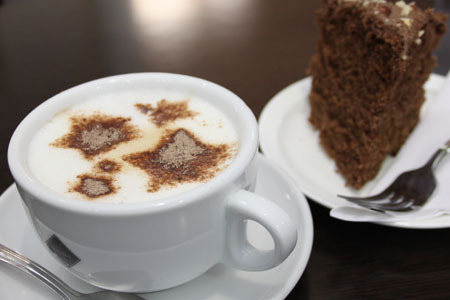 To compliment our excellent meeting, office and event facilities, the Acklam Green Centre is able to offer superb café and catering services. If you’re looking for a Wi-Fi café in Middlesbrough, Cafe Connect, situated in our impressive light filled atrium, is the ideal location for an informal meeting or a lunch time break to recharge your batteries. Relax with a freshly brewed coffee and panini while you surf our free Wi-Fi or simply catch up on the day’s events on one of the widescreen TVs. 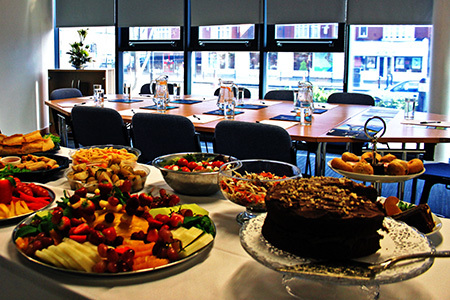 For meetings, conferences or special events, Cafe Connect at the Acklam Green Centre offers a wide range of catering packages. Hot and cold menus are available to suit all budgets and with food prepared on-site and seasonal dishes, taste and freshness are guaranteed. We’re also a popular venue for afternoon tea in Middlesbrough with a number of special events available to book throughout the year. We can also accommodate external caterers for larger functions and to ensure your specific catering requests are tailored to meet your needs. From a tasty snack to a formally catered dinner, whatever your need; the Acklam Green Centre has something for you.